I’ve always known that I’m different from the person standing next to me, unique and intelligent. Lend me your brains not your ears because I want to paint my picture on it. My name is Vania Cruz and I was born on the 17th of February 1985. I live in Vosloorus with my mother my two siblings including my nephew and niece. My mum would say don’t owe someone respect, don’t look at what they can do for you and life can’t always go as we plan so relax and enjoy today. 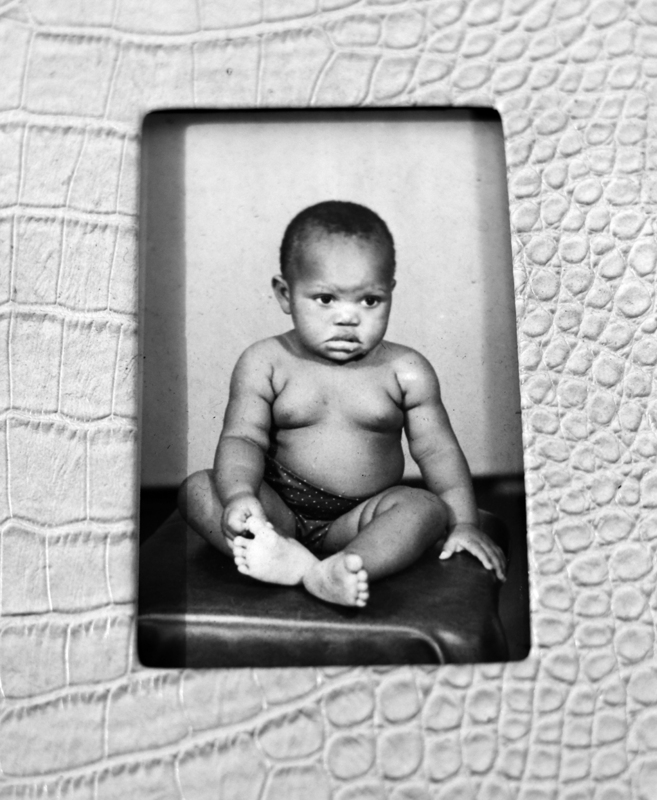 Vania as seen by Zanele Muholi during the second part of Faces and Phases. She would say be a blessing to others as you are a blessing to me. We talk about anything and she’s the best role model, as you can see her fruits in me. I don’t remember coming out to my family as a lesbian for all I know is that I have a supportive family. I enjoy being an aunt as I love kids and they bring joy in me. I am in a relationship with Bonfilia ‘Sesi’ Mbele and my wish is to enjoy life with her by side. She calls me her twin as we have a lot in common mostly writing. I have learned that family is more than blood and looks. My family is loving, sharing and encouraging one another. Business: I spent more than 5 years in the streets living a life of a street vendor “Synman” was the name given to me by one of my customers and even now people still call me Synman, I mean young, old, females and males. Through all the hardships and tribulations I learned that my problems are not bigger than me as I would be a social worker in the street, I would be a friend to someone who needs a shoulder to cry on. What I know is that I managed to change someone’s negative thinking towards LGBTI. The streets made me happier because of the different people I met of which I liked to work with and help at the end like contribute to someone else success. 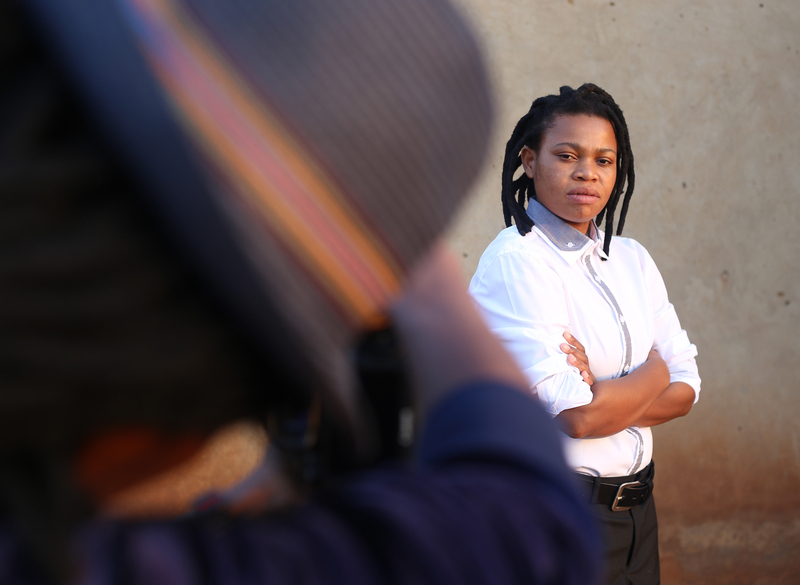 As a lesbian working on the streets, encouraging young people to focus on their studies as I matriculated as well, there were those people who couldn’t understand the fact that a woman can survive the street life and rise above no matter what comes her way. I always avoided fights and minded my own business and took every critic towards me as an advise. Looking at how many successful businessmen and women who started small, and I am one of them. With just a packet of snacks, sweets and a box of cigarettes I managed to build myself a room and even go across the border using this money just to enjoy a two weeks vacation. 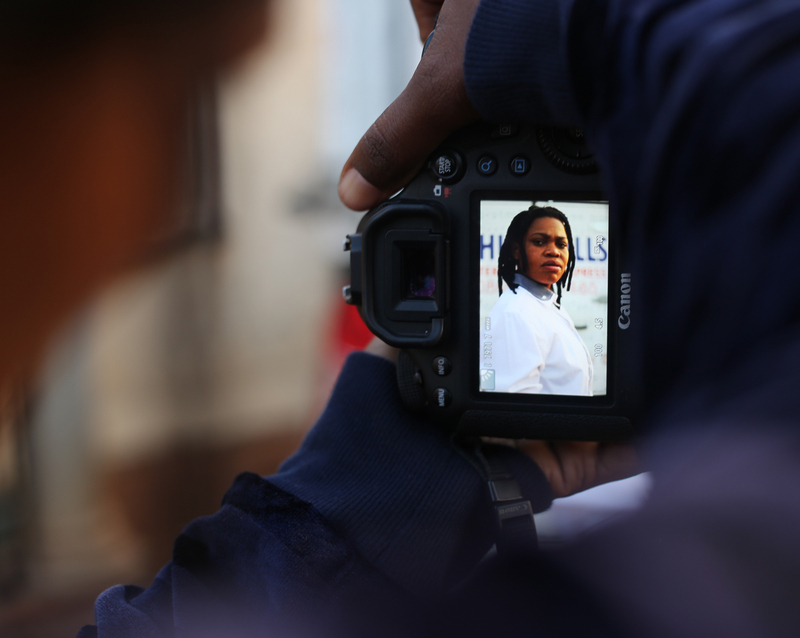 Leadership: I am one of the founders of Tisa Tshireletso organisation in Vosloorus. We are aiming at empowering youth, woman and children. My dream is to be an architect start my own company and be an author as well. The name of my book is called “When the cup is full” this book talks about a young girl who had a wish to meet her father. As she digs her past she found out that she was born as an intersex and that was not the only secret she found out, the big question is how did she end up in jail? Not that she had committed crime at the age of five years. This book is based on a true story. I want to do motivational programs and create a platform for young people to get them ready for adulthood, teach them how they can start their own businesses, and to show case their talents. This entry was posted in Birthdate, Birthday, I was (T)here, I was here, Identity and tagged "Synman", Act, Action, activism, Activists, Another approach is possible, Art, artists, Audience, Baby Vania, Being an aunt, Black Lesbian, Black lesbians, Collaborations, Committed relationship, community, Contribution, Education, exhibition, Experience, Expression, Family, Fashion, Feelings, Friendships, Happier, Homosexuality, Human beings, human rights, Inkanyiso media, Johannesburg, Life, Living..., Love, Loving kids, Organisation, Photography, Relationships, Respect, Salesperson, Sexuality, South Africa, Tisa Tshireletso, Vania Cruz, Visual activism, Visual history, Voices, Words, Writing is a Right, Young. Bookmark the permalink.